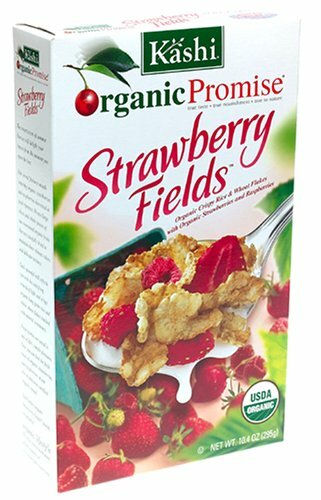 Mouth-watering organic strawberries and rasberries harvested at the peak of ripeness, nestled among light and crispy organic long grain rice and whole wheat flakes. USDA certified organic, minimally processed preservatives. This is my favorite cereal in the whole world!!!! The berries are perfect and not sweetened with anything except sunshine. The flakes are rice-and-wheat and perfectly crisp. The cereal stays crispy in the milk(or soy-milk)but not too crispy. This cereal is great! It's fully organic; every ingredient is something you'll immediately know. Nothing with a strange name or artificial. This is so far my favorite. I usually eat heart to heart.I tried island vanilla and i loved it. island vanilla for same price. It wasn't surprising sale or anything. They always have that price. I looked it up on amazon and i was so shoked.